The largest boat show on earth opens its doors tomorrow for the 50th time in celebration of its Golden AnniversaryFort Lauderdale Show Management has released the following information: There has never been a better time to enjoy boating. And there has never been a better place to fulfil your marine dreams. 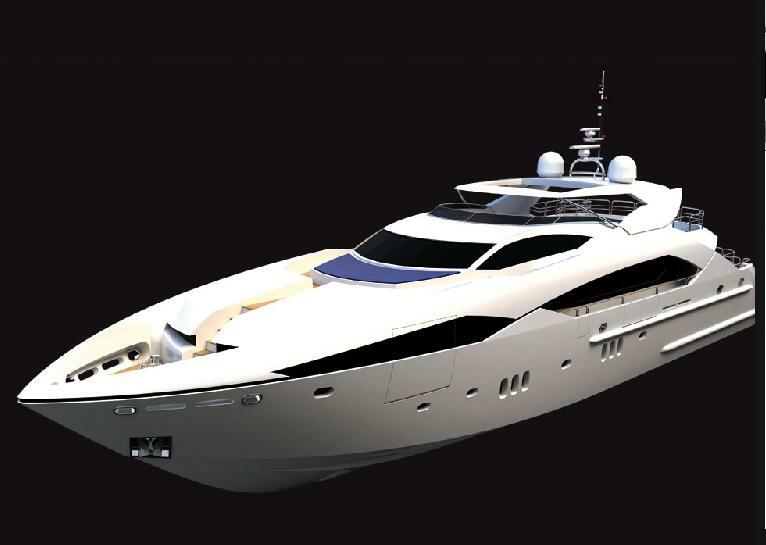 Celebrate the 50th Fort Lauderdale International Boat Show®, October 29–November 2, 2009, where you will find the world’s finest selection of marine products offered for all budgets. Over $3 billion worth of boats, yachts, super yachts, electronics and accessories will cover more than three million square feet of exhibit space on land and in water throughout six different sites. And you can “test drive” a selection of boats as the show premiers its Demo Docks at Pier 66. Join us as we navigate the show so that you can plot your own course for the world’s largest boat show. • The Spectacular Super yachts: See the world’s “show stopping” super yachts (yachts 80- feet and over) from the finest builders around the globe at the Bahia Mar Face Dock. Renowned shipyards such as Trinity, Christensen, Abeking & Rasmussen, Delta, Burger and many others will be presenting their very best. 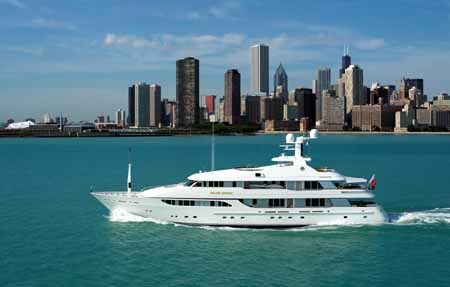 This year’s “Queen of the Show” – the 214’ Trident by Feadship – will also be docked at this show site. 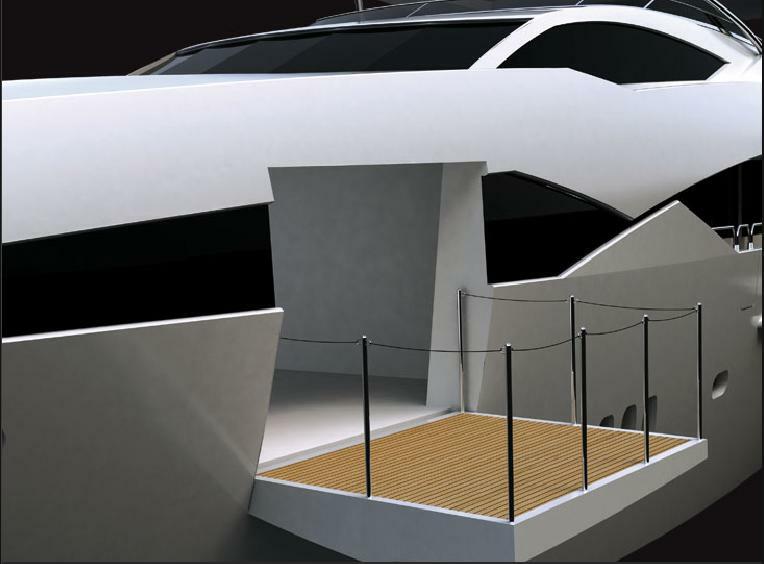 Australia, France, Great Britain, New Zealand, Germany and latest entry British Columbia (Canada), all of which will be showcasing their country’s top providers and suppliers to the super yacht industry. 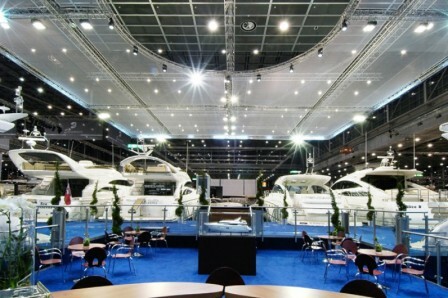 • The International Yacht Builders Pavilion: The place to see what the rest of the world is building. From necessities to luxuries, the world’s most talented and influential manufacturers and shipyards will be here to show up-to-date and extravagant options and amenities for yacht building inside this 15,000 sq. ft. pavilion. 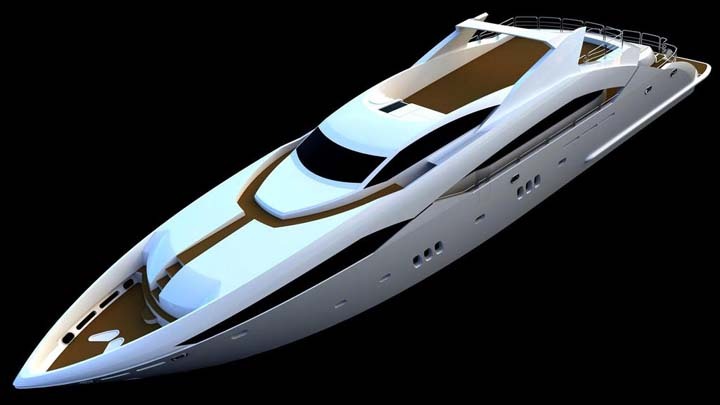 • The Power Centre: Power up at the Bahia Mar site where an impressive selection of the newest engines, generators and air conditioners for small boats, mid-size cruisers and super yachts from every leading manufacturer worldwide will be on full display. • Amazing Array of Accessories: Accessory tents will be fully packed with the newest trends, designs and innovation in electronics. But, there is so much more including fishing equipment, diving gear, information on fabulous resorts, insurance, finance, nautical clothing, jewellery and the list goes on and on. • Boats in Water and On Land: Think big, small and in-between. The Face Dock is lined with extraordinary super yachts from 80 to 200 feet. The North Side Docks feature powerboats, family cruisers, high performance boats, and brokerage boats. The South Side Docks showcase motor yachts, sport fishers, picnic boats, trawlers, express cruisers, and even more brokerage yachts. Move from water to the asphalt, and you’ll find hundreds of trailerable boats, inflatable’s and personal watercraft covering the land area. • Fun in the Sun: Be sure that you and your friends visit the International Food Garden and floating cocktail barges to enjoy delicious food and live musical entertainment. 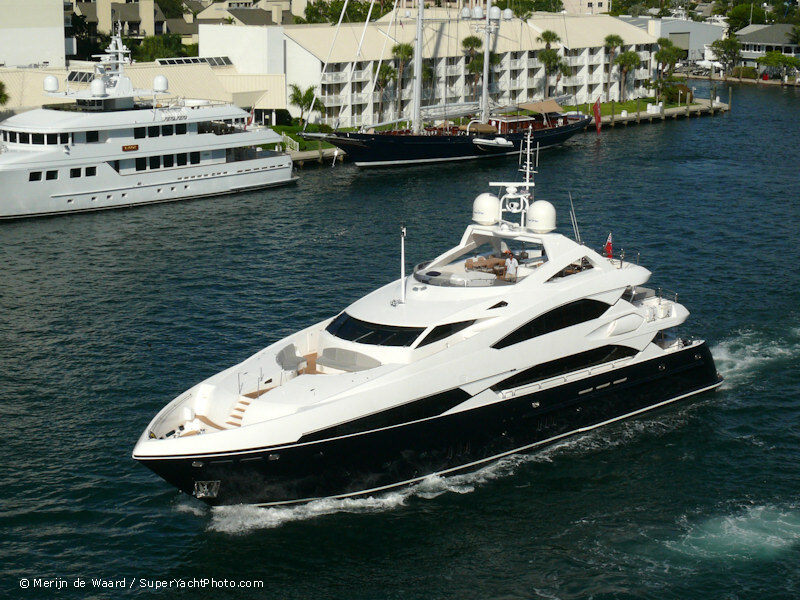 The super yacht showcase continues as you head north from the Bahia Mar Face Dock to the adjacent Hall of Fame Marina. Westport, Moran Yacht & Ship, Northrop & Johnson, and Merle Wood among others will present a stunning array of high-quality, desirable brokerage yachts. From the finest on water, you can get a premier look at the finest in land-based speed and sophistication at the Exotic Car Showcase. Located across from the yachts, this popular exhibit spotlights the latest models in automobile excellence from Aston Martin, Porsche, Ferrari, Maybach, Mercedes-Benz, Jaguar, Bentley, Rolls Royce, Land Rover, Maserati, Audi and many more. It’s just a short walk or a quick water shuttle ride from the Hall of Fame Marina to gain access to more of the Show’s brokerage motor yachts. The Fort Lauderdale International Boat Show is proud to be introducing Demo Docks to this year’s event. Here, serious boat buyers will have the unique opportunity to arrange for sea trials during the Show, to help them “seal the deal” on site. The C & D Demo Docks will accommodate up to 40 boats from select exhibitors ranging from centre consoles to 130-ft. motor yachts. Guests must make boat test arrangements at the exhibitor’s main show display location, and all sea trials will head south towards Port Everglades. 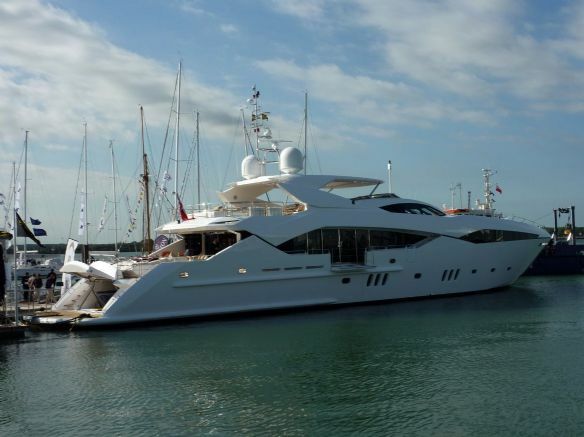 Brokerage motor yachts and sailing yachts will continue to be on display on Docks a & B. See a bevy of super yachts from a variety of exhibitors including Heesen Yachts’ 161’ Man of Steele and 141’ At Last, both presented by IYC. The convention centre will offer a terrific selection of fishing boats, family cruisers, runabouts, flats boats, centre consoles, jet boats, engines, fishing equipment and accessories. Marine seminars and the Kids’ Fishing Clinics will also be located here. There is no better way to navigate the show’s six spectacular sites than by utilizing the Show’s extensive Transportation Network. Shuttle Buses: Free. Transportation routes between all six show sites, War Memorial Auditorium parking and downtown Riverfront parking. Riverboat: Free. Avoid the traffic and enjoy the scenery on the New River when you take the 30-minute Riverboat ride to/from Las Olas Riverfront Transportation Centre (downtown) and Bahia Mar Yachting Centre site (only). Buy tickets in advance and save $2-off any single-day admission exclusively through E-Ticketing. Just visit http://www.showmanagement.com, and then click on the “Buy Tickets ONLINE” link box on the main page. E-Ticketing is available right now, and will continue through Monday, November 2, one hour before show closing. As the boat show season gets into full swing the 2009 Cannes boat show is ready to open its doors from the 9th to 14th September. Some 511 boats in water within Vieux Port & Port Pierre Canto, 180 new models, 140 boats over 20 metres long, 460 exhibitors from 25 countries, including 140 newcomers, 95,000 m² net exhibition space. If you want to see some of the world’s most luxurious super yachts then head to Cannes! The 50th Anniversary edition of the world’s largest boat show is just around the corner, this year’s show will take place October 29-November 2, 2009 at six locations in the Yachting Capital of the World – Fort Lauderdale, Florida. The show will feature a staggering 3 billion dollars worth of boats, yachts, super yachts, electronics, engines and thousands of boating accessories from every major marine manufacturer and boat builder worldwide. Launched in June 2009 the Feadship Trident at 214 footer will certainly stand out from the crowd and is set to steal the show. 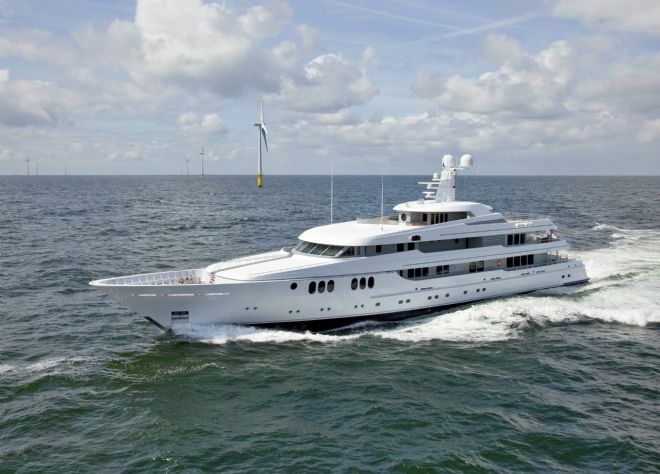 The Feadship Trident has been styled by Donald Starkey and Navel architecture by De Voogt, a partnership that is one of the most respected in the industry. 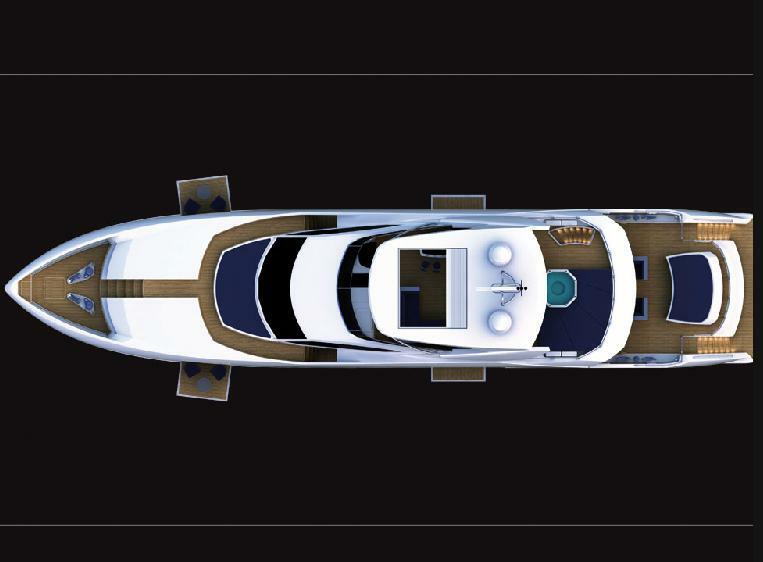 The grand entrance of the Sunseeker Predator 130 super yacht is set to be a spectacle at this years Southampton Boat show. 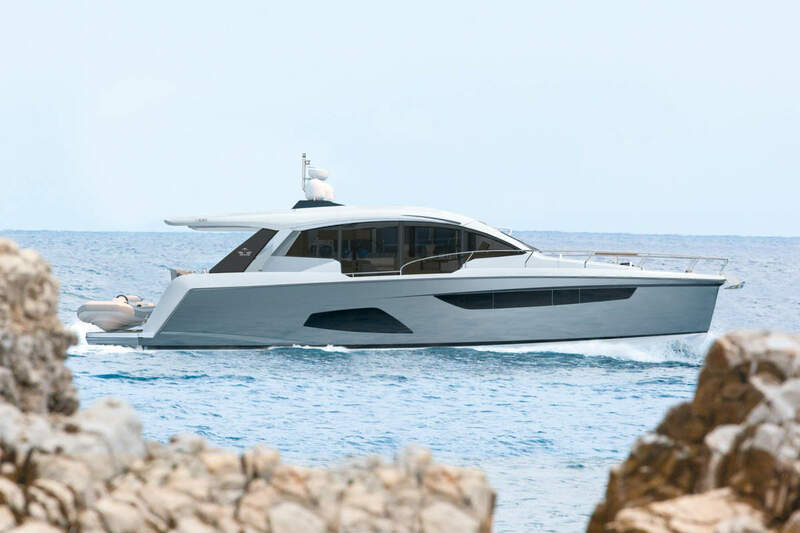 Set to steal the show the beautiful Predator 130 is testament to Sunseeker’s endless search of perfection in its sports yachts however this time they have broken the mould to produce a 126 footer super yacht with the ability to travel long distances and at speed. Built on a 3 deck platform the Predator 130 will provide customers a range of individual customised options to ensure their Predator is like no other. The Predator 130 can provide ample space for 10 guests and 8 crew members and has the ability to cruise for long periods of time however she is no couch potato either the predator figures are eye opening. 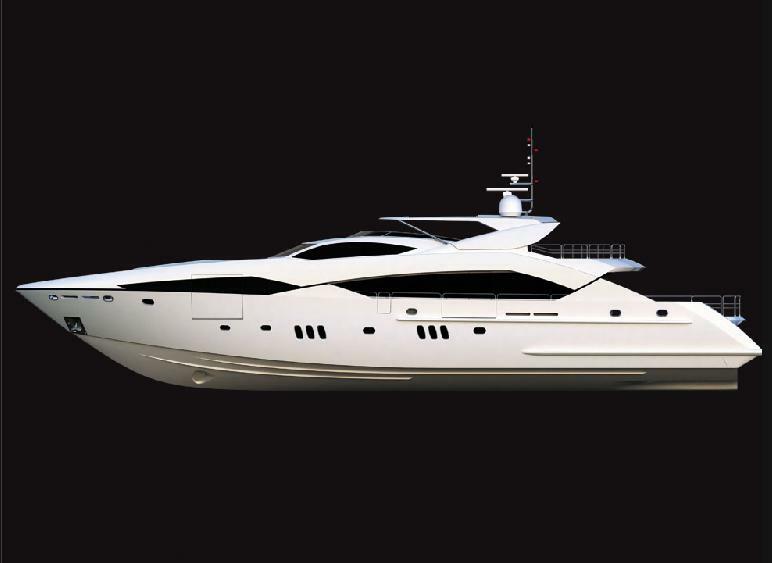 Our choice would be engine option 3, giving the Predator 130 a mouth watering 42 knot top speed and that’s from a super yacht 126ft in length! 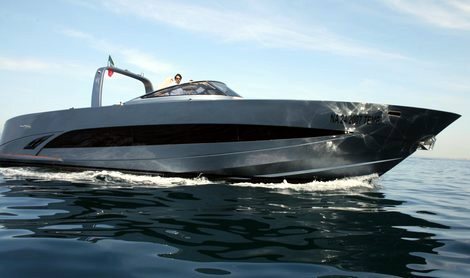 The Predator 130 makes a bold statement she is palatial in scale and matchless in performance and her design from the outside will have onlookers in ore.
Sunseeker’s very heritage in boat building can be seen within the design and function of the Predator 130 equally the use of cutting edge technologies and practices ensure that Sunseeker stay ahead of the field in boat design and build. Has been sold for a reported $100m by venture capitalist ownver Tom Perkins.